Primarily an architect, Rietveld also designed several important and iconic pieces of furniture, such as the famous Red-Blue chair of 1923, the Crate furniture of 1934, and the aluminium chair of 1942. 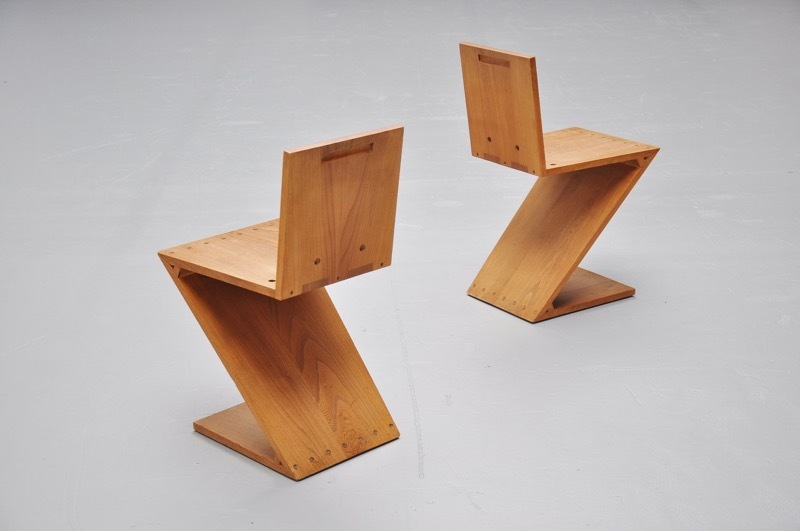 Rietveld’s startlingly minimal Zig-Zag design from 1932 is an exercise in purity of form. He said that it wasn’t a chair, rather ‘a little partition in space’. 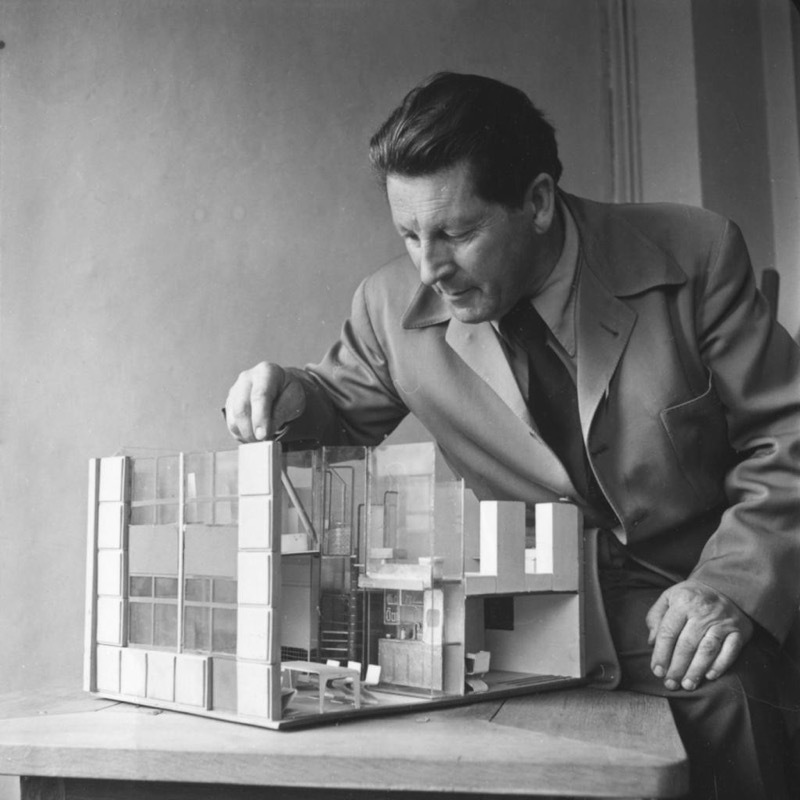 He was clearly pleased with it since, from 1933, he used the design in many of his architectural models of interiors for clients. There were various prototype attempts, since being constructed simply from four rectangles of solid wood joined at difficult angles created significant structural challenges. There was a bent plywood version which tended to break, and a version with iron reinforcements on the sides. In the first production version made by Metz & Co., which we have used as a pattern, the almost right-angle of the back was joined with dovetail joints, whilst the acute angles were bolted and glued together with reinforcing fillets in the corners to add structural stability. Perhaps part of the appeal of the design is its apparent fragility. There were later variations with arms and even an upholstered seat, as well as a lounge chair version. The interior in which the chair sits is inspired by Rietveld’s beautiful and revolutionary Schröder House, designed in 1924 for Truus Schröder, and situated in the Dutch city of Utrecht. The following images are our test prototypes of models.